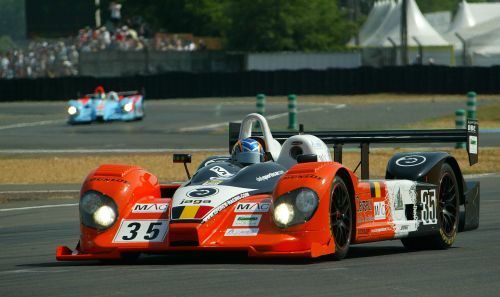 In contrast with G-Force’s spotless qualifying sessions, the 24 Hours of Le Mans became an uphill struggle for the team. Initially problems with the engine followed by gearbox troubles resulted in the end of the race for the Courage C65 Judd from Alken around midnight. Nobody had expected such an ending and the disappointment shown by the team was clearly visible. At 17:00hrs, under a sun soaked track the 74th edition of the 24 Hours of Le Mans took off. The promising young Ed Morris had the honour of driving the Courage from the pre-start to the definite grid position and to take the start of the race. "In fact during the formation lap I already felt a problem arising," the young Brit told us. "The more I increased the revs the more the car was losing power. I immediately rejoined the pits and the team frenziedly tried to solve the problem." For over two hours of the race the G-Courage was limited to ongoing visits to the pits. The Judd engineers spent three hours in trying to track down the cause. Team owner Frank Hahn was pretty enraged by this: "I just don’t understand this, Judd is a reputable engine builder and in fact it turned out to be a sensor on the crankshaft flywheel that was causing all the problems. To me this remains a mystery how this could take quite so long, seeing all the tools the engineers have to hand to solve the matter." Finally Ed Morris and Jean-François Leroch were able to complete some fifty laps at a steady pace. Hope was building up once more until the French driver Leroch brought the Courage into the pits with the gearbox jammed in 5th gear. 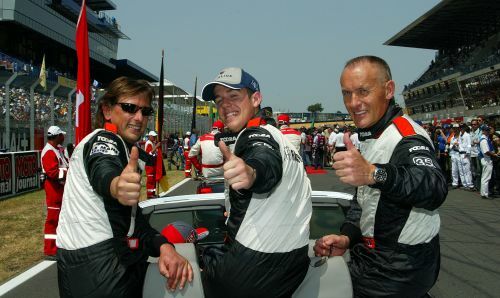 Notwithstanding the technical teams unceasing efforts, under the guidance of Jeroen Liebens, G-Force were obliged to throw in the towel just before midnight. "This is the second time in a few hours that I feel completely cheated by a supplier", a tensed up Frank Hahn commented. "Hewland had announced they would be bringing in a specially designed gearbox for Le Mans and now, some fifty laps later it’s all over. Incomprehensible..."
"It has been a wonderful week only to be marred by a black weekend." is how Frank Hahn concluded the adventure at the Sarthe. "The entire team, from the kitchen via the logistics through to the whole gang of mechanics have been really great. The atmosphere could not have been better and I would really have been delighted to have given them a finish on Sunday afternoon. Unfortunately it was not to be. I’m now going to reflect on everything and see how best we can plan G-Force’s future." 24 Heures du Mans - Tom Cloet : "Je reviendrai, c'est sûr !" 24h LE MANS Standings at 10.28 p.m.